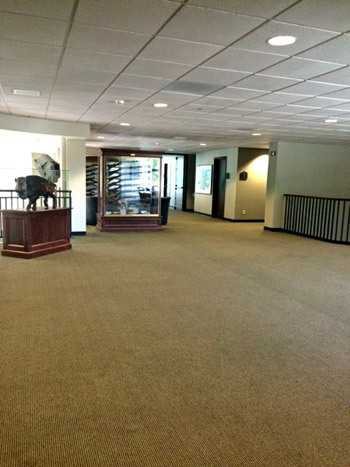 The Hendrickson Lounge is our second floor reception area, which overlooks the two-story Diederich Atrium. It opens to the Stegner Terrace and the NDSU campus. 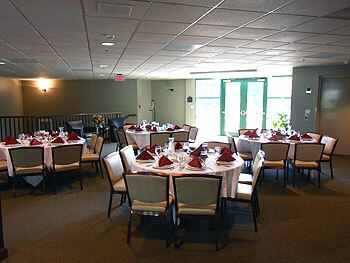 It is perfect for lunches and dinners, bridal showers, and graduation receptions. Robert Hendrickson graduated from NDSU in 1950 with a B.S. in Economics from the College of Arts and Sciences. He received an honorary doctorate from NDSU in 1987. He was one of the founders of the NDSU Development Foundation and continues to be a substantial financial supporter of it. He is also a Life Trustee of the Development Foundation. Robert retired from The Equitable Financial Companies in New York as Vice Chairman of the Board of Directors. He also served as a director of five multi-national, multi-billion dollar corporations. He is currently the President of Juno Land Development Corporation. His daughter, Nancy, is a 1980 graduate of NDSU. He lives in Tequesta, FL, with his wife, Patty.